On behalf of Port Authority of the Cayman Islands (PACI), we wish everyone a pleasant Christmas and prosperous New Year. January 2nd, 2018 PACI will be turning over a large section of our container yard to M.. The Port Authority of the Cayman Islands will be hosting a Customer Appreciation Day at the Billing Office on Portland Road, Industrial Park on Wednesday 20th December 2017 from 12pm to 3:00pm. 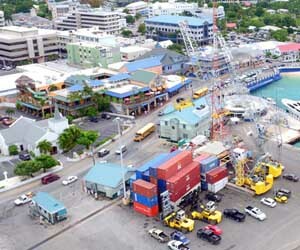 Refreshme..
Cayman Port would like to advise their valued customers of their weekday extended holiday hours. Beginning Tuesday 12th December 2017 until Friday 22nd December, 2017 Cayman Port’s Billing Office will be o.. Weather Advisory – Cargo Vessels Schedule Port Conditions Return to Normal Time: 0000 ~ Date: Tuesday, 12 December 2017 The Deputy Director – Chief Logistics Officer has determined that the.. Weather Advisory – Vessel Traffic Port Closure – Vessel Traffic Time: 19:00 ~ Date: Saturday, 9 December 2017 The Deputy Director – Chief Logistics Officer has determined that the P..
Cayman Port would like to remind their valued customers that during the busy holiday season all cargo collections from the warehouse must be done in a timely manner, so as to not impact safe and efficient opera..
With an active holiday season approaching, the same is expected for cargo imports. 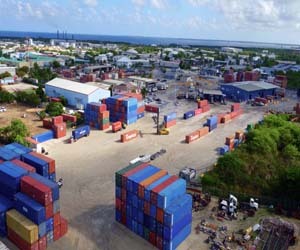 Cargo collections from the warehouse must be done in a timely manner in order to ensure the Port Authority of the Cayman Island.. The Port Authority of the Cayman Islands have the following office furniture and equipment, which is in good condition for sale:  47 Office Chairs at $25.00 each  5 Filing cabinets at $75.00 each.. Weather Advisory, Cargo Vessels Schedule Port Conditions Return to Normal Time: 17:00 ~ Date: Monday, 30th October 2017 The Acting Port Director has determined that the Port Authority of the Ca.. The Port Authority and Dept of Environment advises boaters using the South Sound channel to exercise caution as the catamaran that wrecked west of the channel has apparently disintegrated and current may wash p..